What do you buy your husband for his birthday when he has everything and doesn’t want anything? A weekend away, that’s what. It’s sort of become a bit of a tradition now to take him for a weekend away for his birthday present. It’s great because I get to enjoy it too! This year I chose Brighton as it’s close to London (one hour by train), it’s got a lovely seafront (although we went in October) and we hadn’t been to Brighton together since 2007. 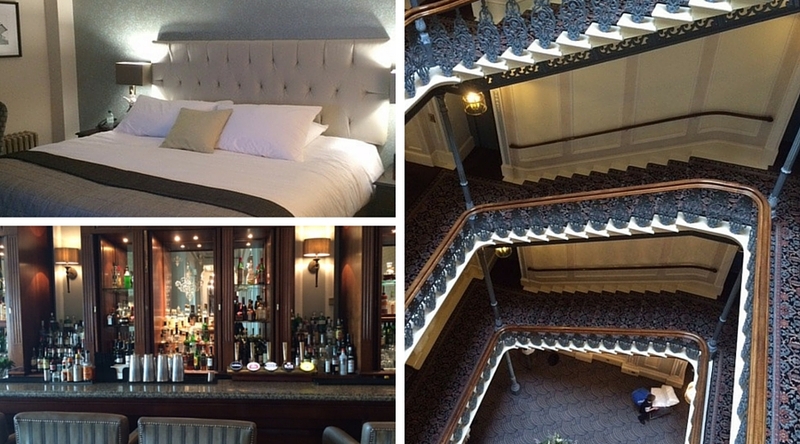 We stayed at the luxurious Grand Hotel, right on the seafront. It was built in 1864 and is an example of Italian influence in Victorian architecture. It’s also famous for being bombed by the IRA in 1984 in an attempt to assassinate then Prime Minister Margaret Thatcher. Of course if you are visiting Brighton then you absolutely have to go for a walk along Brighton Pier. It was opened in 1899 and took eight years to build. It’s actually a pleasure pier and has an arcade, food and drink stalls and fun fair rides. Whilst we were watching some people swim (in October!) this cheeky little seagull just couldn’t resist being the centre of attention. The beachfront itself has some quaint little huts selling fresh seafood and there are bars, restaurants and shops. In the summer it’s absolutely packed but of course in October it was much quieter. Once you’ve had a wander around the seafront and a walk along the pier, head up to The Lanes. About a 5 minute walk away from the pier is a set of narrow lanes, which was the original settlement of the fishing town Brighthelmstone, where you’ll find shops, bars and restaurants. It also has a large selection of jewellery shops where you can negotiate on the price. I spotted a beautiful fishbone white gold ring with diamonds which should have been £1,250 but they were willing to give me 60% off to ‘make room for new stock for Christmas’. I didn’t buy it in the end, which I’m sort of regretting now! A charcterful pub in The Lanes. We had dinner on Friday night at the Giggling Squid, which is situated in The Lanes in an old fisherman’s cottage. It’s Thai and the food was delicious and authentic. Even though they bill themselves as Thai tapas, the portions were really generous and the service was excellent too. On Saturday night I booked a table at Drake’s, which is situated in a boutique hotel. It’s the highest scoring Brighton restaurant in the 2015 Good Food Guide and for good reason. The food was really very good, beautifully presented and we were also served an amuse bouche and a pre-dessert dessert. They do a tasting menu for bookings before 9pm but as our reservation was at 9pm we stuck to the al a carte. I would highly recommend booking in advance as it’s very popular. If you’re looking for something cultural to do then visit the Royal Pavilion, which was transformed from a lodging house to a neo-classical villa in an Indian style for King George IV in 1823. It’s something to behold! Unfortunately we didn’t have great weather when we went, however luckily it didn’t rain too much. There’s a shopping mall, museums, theatres, cinemas and lots more to do if you don’t want to be outdoors in case of bad weather. And of course, plenty of lovely, cosy pubs to while away the hours. Looking for more UK weekend break destinations close to London? Here are five of my favourites. 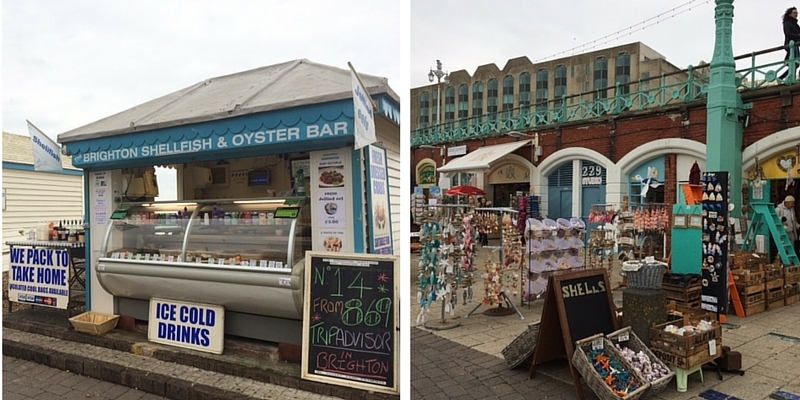 Brighton is one of my favourite places in the UK, there’s something for everyone there. Love that photo of the seagull Kirsty, very cool! Thanks Nisha! Yes, Brighton is lovely. Ha, that seagull was clearly loving the attention!